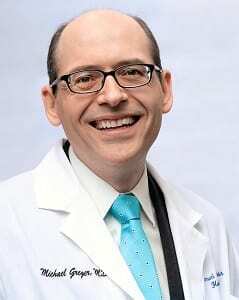 A founding member and Fellow of the American College of Lifestyle Medicine, Michael Greger, MD, is a New York Times bestselling author and internationally recognized speaker on nutrition, food safety and public health issues. Dr. Greger has scoured the world’s scholarly literature on clinical nutrition and developed his presentation called “How Not to Die: The Role of Diet in Preventing, Arresting and Reversing Our Top 15 Killers,” based on the latest in cutting-edge research exploring the role diet may play in preventing, arresting and even reversing our leading causes of death and disability. He has lectured at the Conference on World Affairs, testified before Congress and was invited as an expert witness in the defense of Oprah Winfrey in the infamous “meat defamation” trial. In 2017, Dr. Greger was honored with the ACLM Lifestyle Medicine Trailblazer Award. He is a graduate of Cornell University School of Agriculture and Tufts University School of Medicine. His latest book How Not to Die became an instant New York Times Best Seller. He has videos on more than 2,000 health topics freely available at NutritionFacts.org, with new videos and articles uploaded every day. All proceeds he receives from his books, DVDs and speaking engagements is all donated to charity.